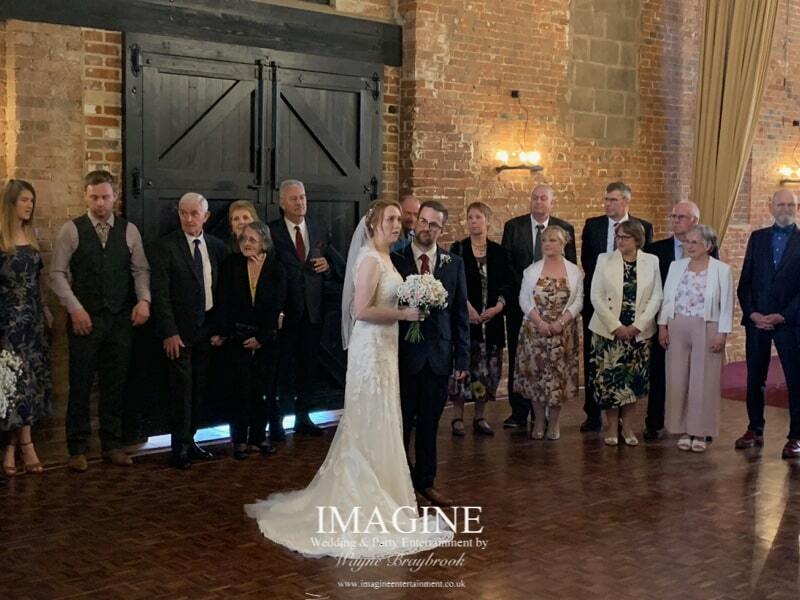 What a fantastic, laid back and relaxed wedding this was…..my absolute favourite sort of wedding! Ollie and Lauren first made contact 18 months ago about providing my all day wedding service for their big day. 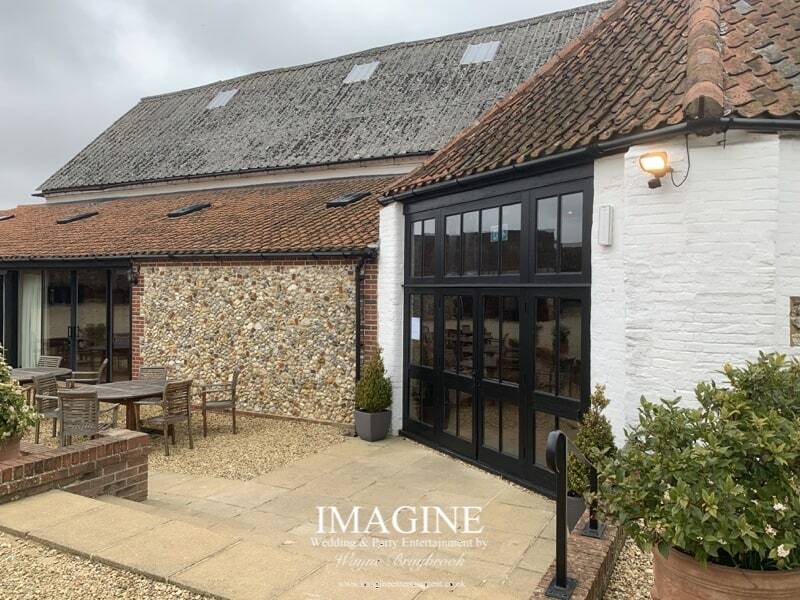 It was to be held in the gorgeous Sussex Barn at Burnham Market and I’d been looking forward to this one….a LOT! 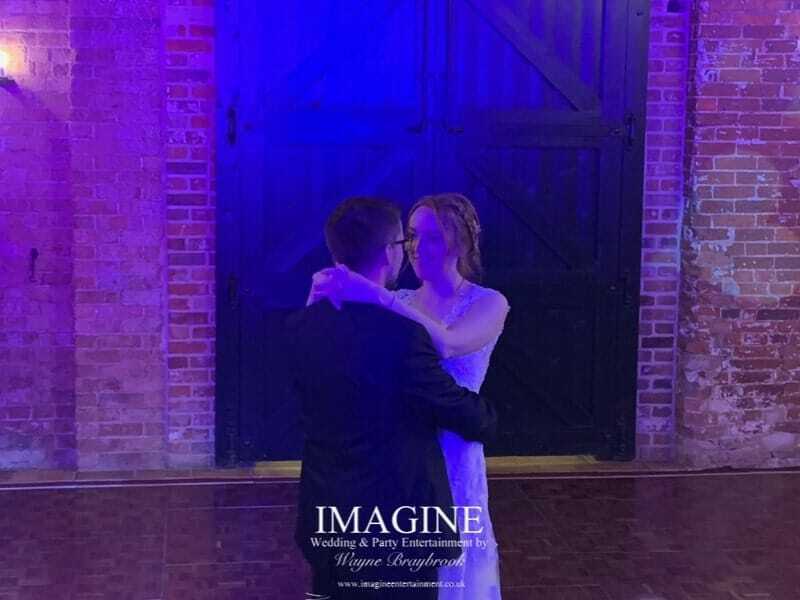 My all day wedding service means that I’m with you for the entire day from the “I Do’s” to the last song of the night. 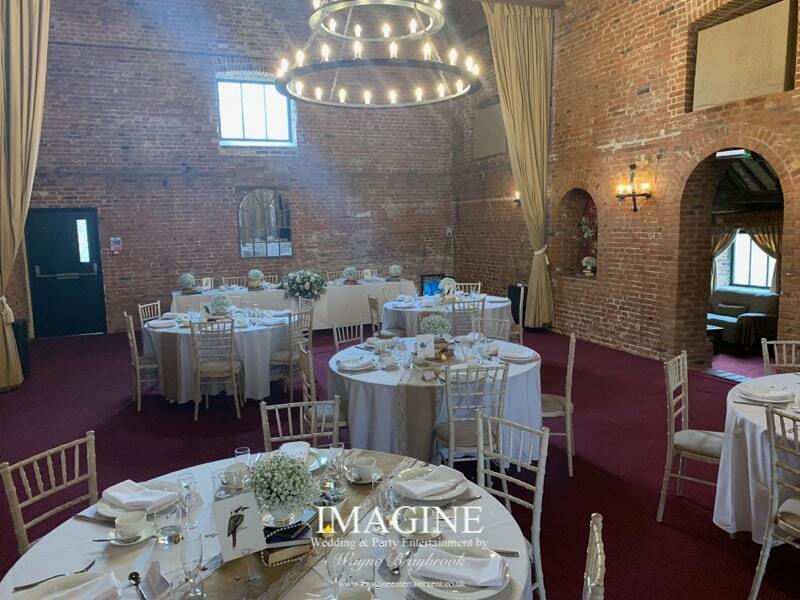 During the day I provide the soundtrack to the ceremony itself, help to coordinate your timeline during the afternoon, provide background music during your wedding breakfast….the list can be endless. Move forward to February this year and after a few emails backwards and forwards, it was time for a meeting at the venue. I’d never worked there before (I certainly hope to be back sometime soon though! ), and couldn’t believe how stunning it was! As for Ollie and Lauren, they have to be one of the best couples I’ve ever had the pleasure of working with. Our meeting turned up all sorts of ideas for the day, including the styles of music and how the disco was to be set up. 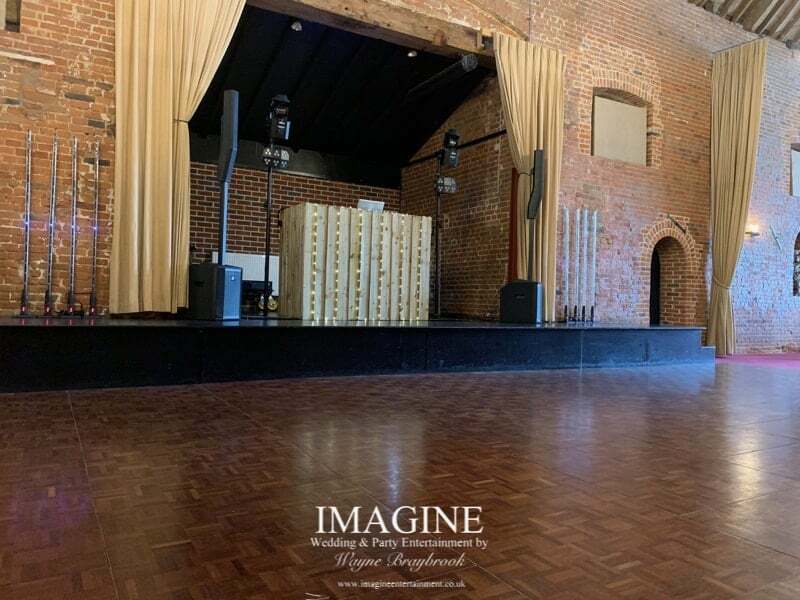 As the equipment is there during the entire day including the ceremony, the setup becomes a lot more important to fit in with the decor and styling. Ollie and Lauren opted for my Rustic booth, brand new for 2019 and already proving to be very popular! It was also a good opportunity to talk to and work with Emma, the venue owner about what was and wasn’t allowed during the day and evening. As an example, she’d advised that smoke/haze wasn’t normally allowed because of their fire alarm system and didn’t want to evacuate on the day due to the alarms going off. We agreed that I’d test the haze machine on Friday afternoon whilst setting up in the empty venue to see if it triggered the alarms. It didn’t, so was allowed (and it makes a big difference to the lighting). 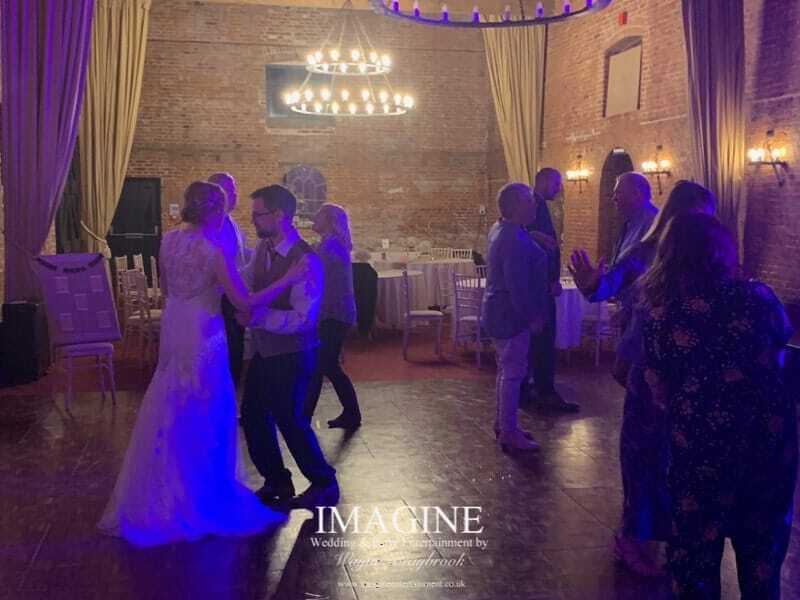 I always feel that by working WITH other suppliers such as photographers regarding the lighting for the first dance and including the venue itself, we manage to provide an even better service for the most important people on the big day. And at the end of the day, that’s what we’re all there to do! The day itself went without a hitch. In fact, everything was perfect! A beautiful ceremony (and Lauren looked stunning! 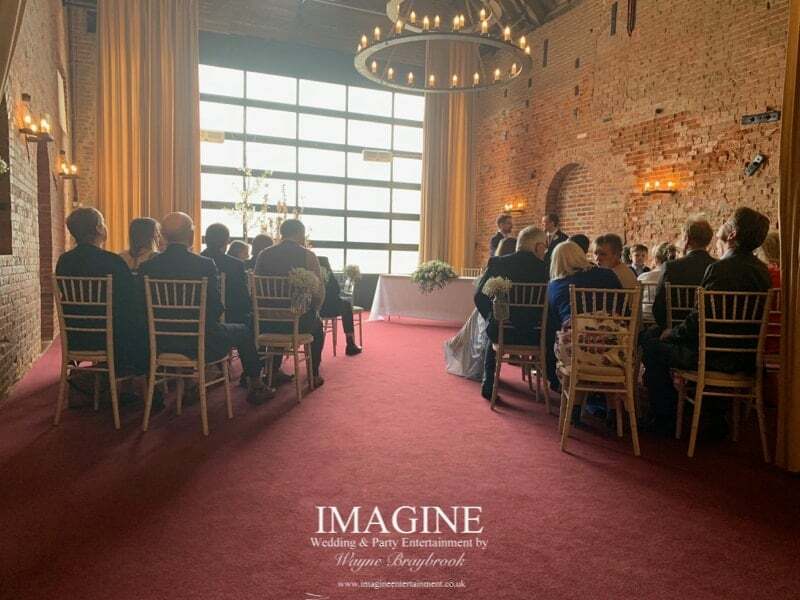 ), a nice relaxed “afternoon tea” wedding breakfast with around 30 close friends and relations, before moving onto the evening reception with an additional 30 guests. Without a shadow of a doubt, this has to be one of my favourite weddings for a long time. Although there was a timeline, it was for guidance only. Ollie and Lauren decided they’d rather enjoy the day for what it was than be running around trying to keep everything happening to the exact minute. 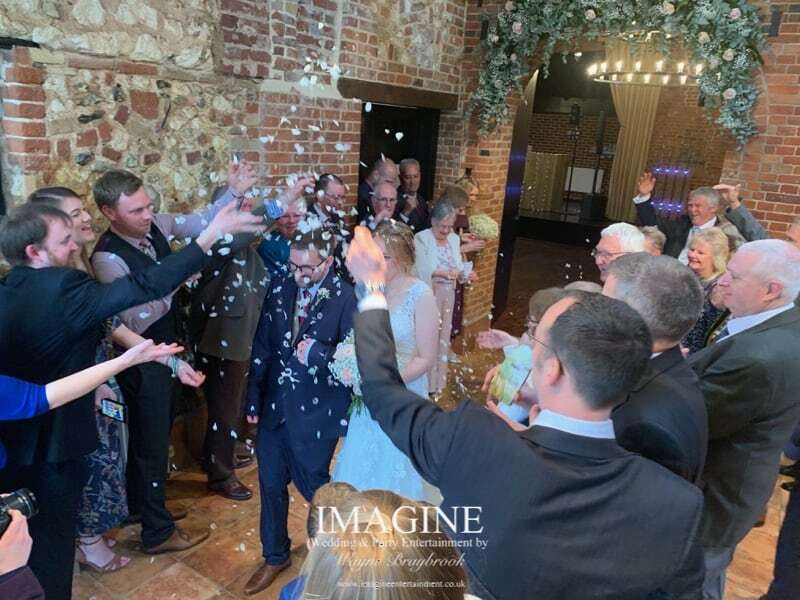 The end result was a happy, very relaxed wedding whereby everyone enjoyed the day without the stresses and strains a wedding can normally bring. As someone who goes to a lot of weddings, this one stood out for its purely relaxed style. I thoroughly enjoyed the day and I was working! 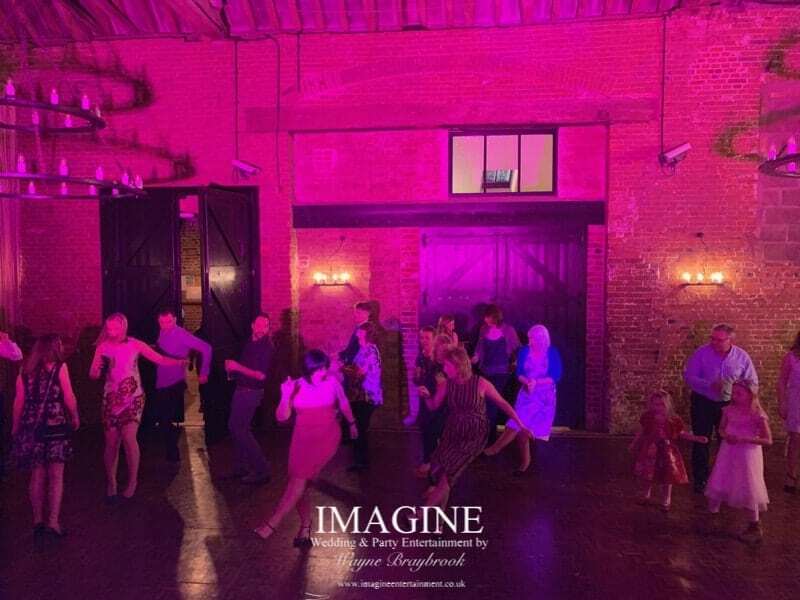 The guests had been asked to provide songs with their wedding acceptances so the playlist was made up of tracks from these suggestions, and some of Ollie and Lauren’s personal favourites. 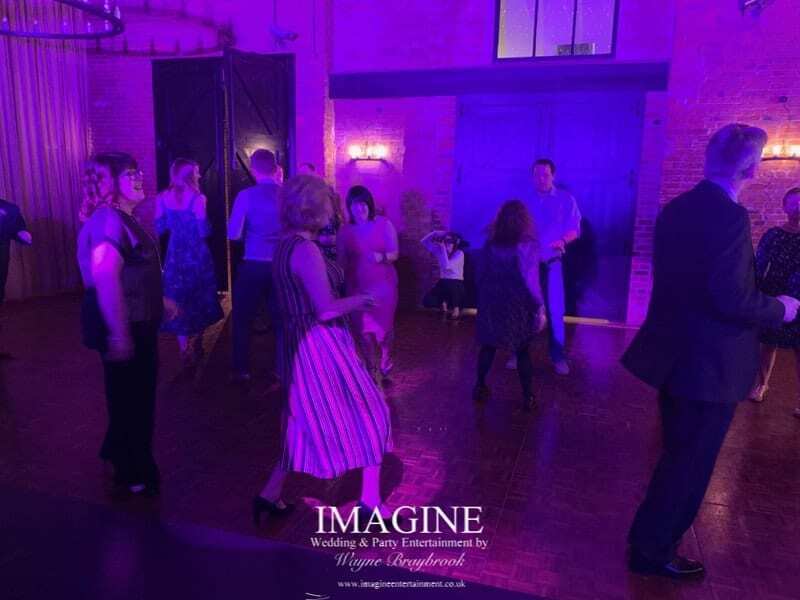 It led to a wide and varying number of genres during the evening. Coupled with requests from the guests on the night itself, the dance floor was fairly healthy once the evening buffet was over. 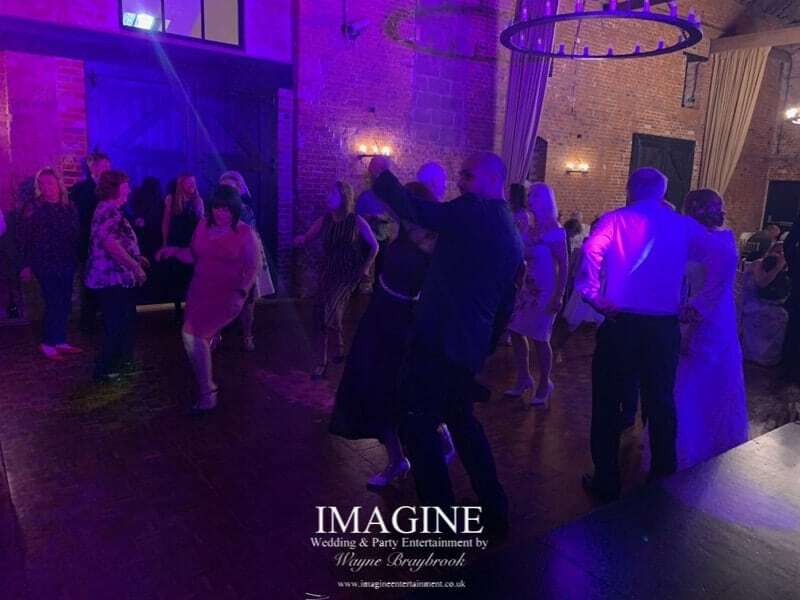 However, due to the completely different styles in music, it was often the case that the older guests would dance to one style whilst the younger got up and moved to the newer/more specialist genres. The full playlist is shown at the bottom of this page. I didn’t actually take too many photos during the evening for some reason, but I’ve included them below to give you an idea of how things went, including some pictures of Sussex barn before the ceremony and wedding breakfast. There are various rules regarding the music which is played during a civil ceremony and you need to clear your selections with your registrar (and depending on where you’re being married, different registrars have different ideas of what they will and won’t allow!). As a general rule though, the music cannot be explicit and most definitely cannot contain any reference to religion. 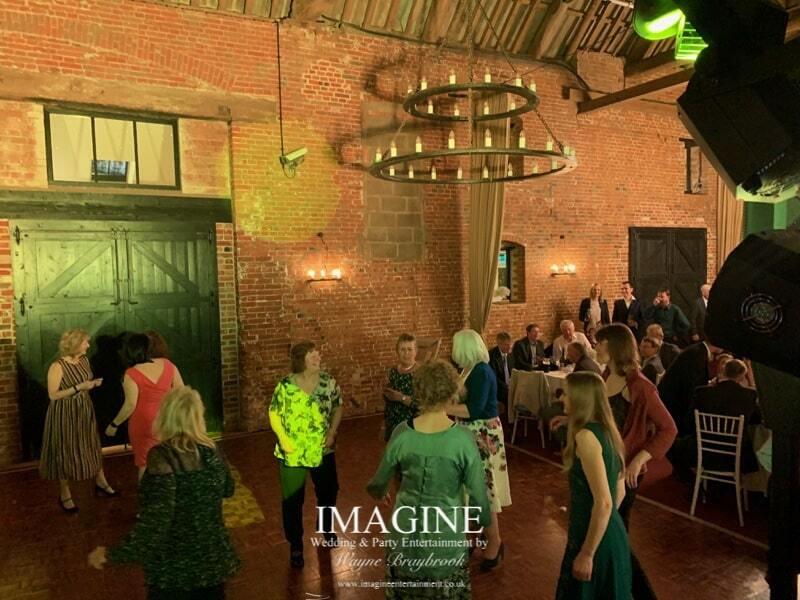 As already mentioned, the playlist for the evening had been provided by the guests via their invitations so the music styles were very varied. My policy is to play as many of these as possible and where they fit in (i.e. where the guests are dancing to them).